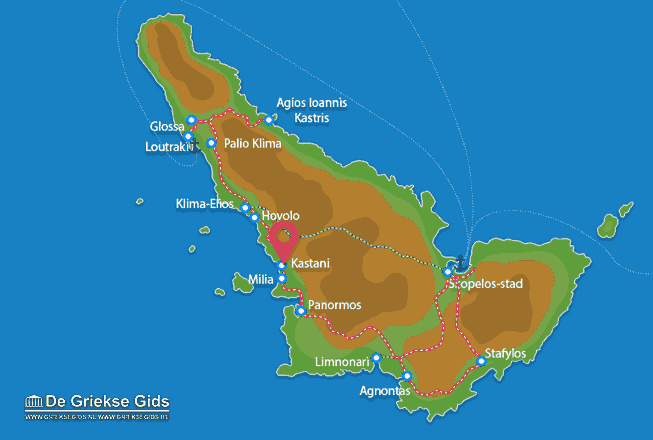 MILIA and Kastani. 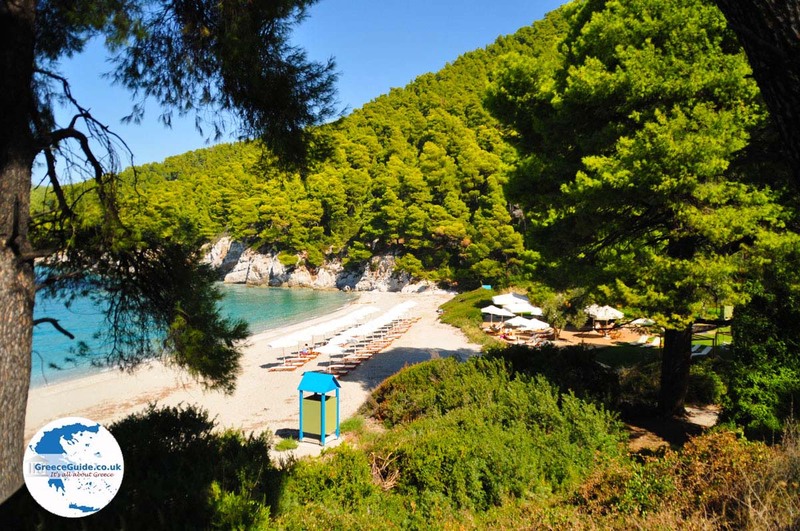 Between the resorts of Klima, Elios and Panormos, in the west of Skopelos, are located two very nice beaches; Milia and Kastani. Coming from Panormos, Milia is the first beach you encounter. 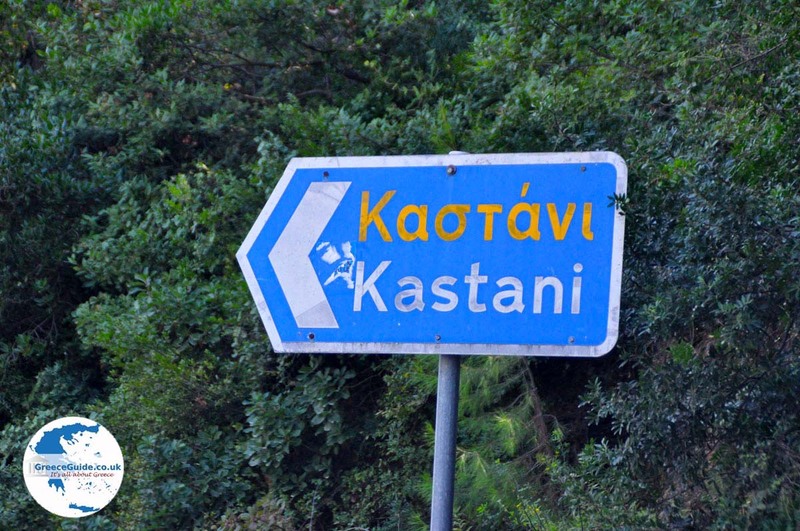 On the main road is a sign indicating that you should turn left. 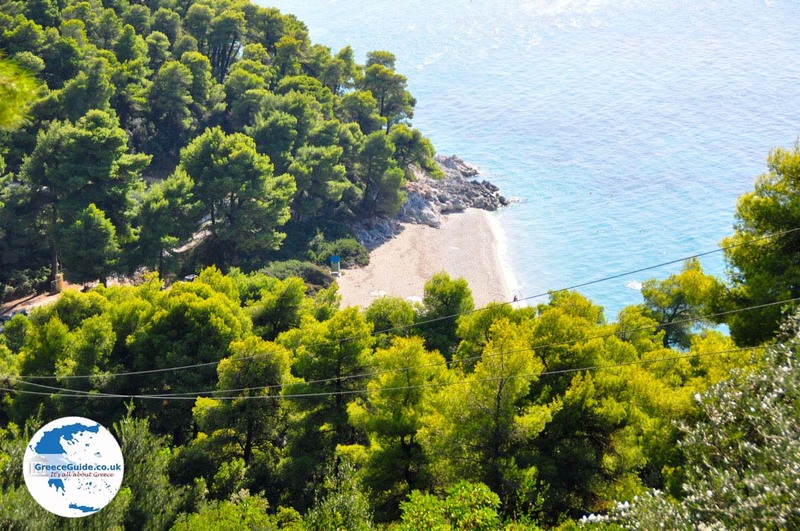 You drive through the mountain, down to the beach with ample parking. 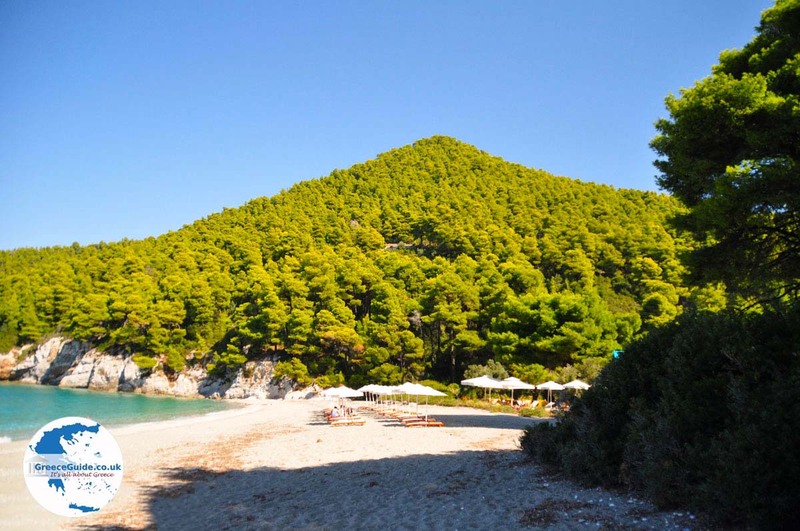 Milia is a small beach with white pebbles and pine trees. 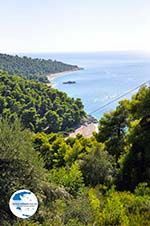 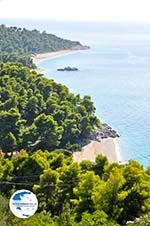 Again, as with other beaches in Skopelos, you will see fantastic colours; green pine forests that come down to the water, the turquoise colours of the sea and the bright blue sky. 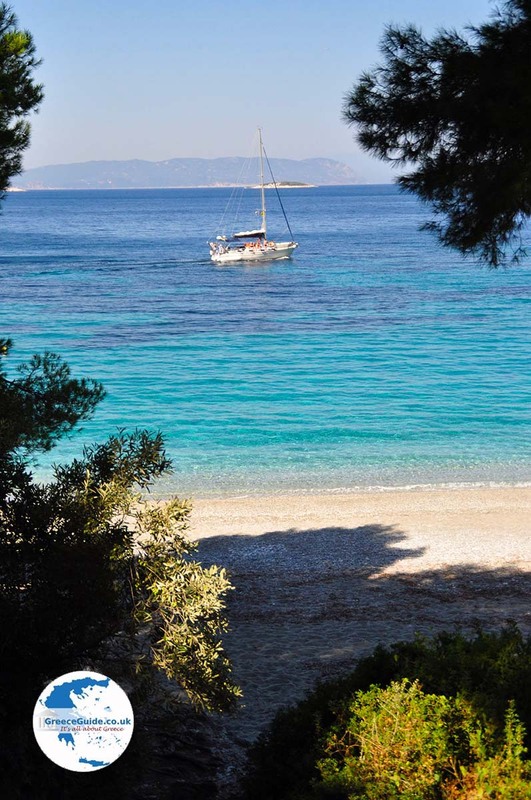 In the water, close to beach, you see two striking white rocks. 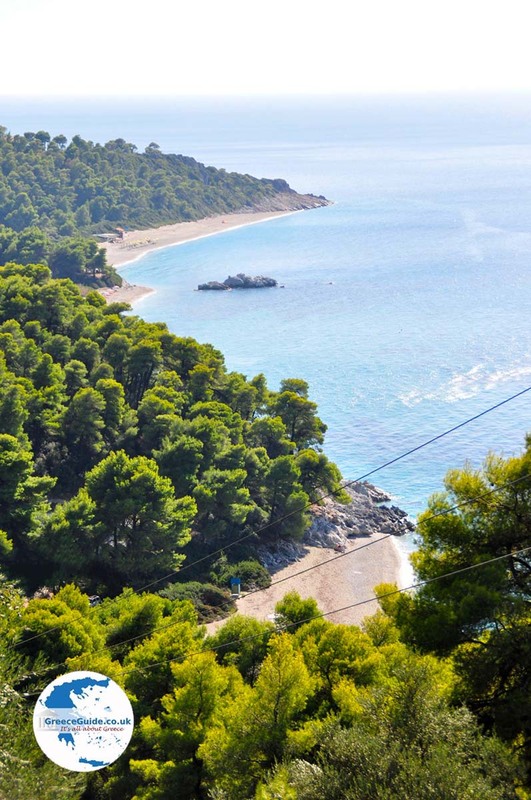 At a short distance, is the beautiful island of Dasia. 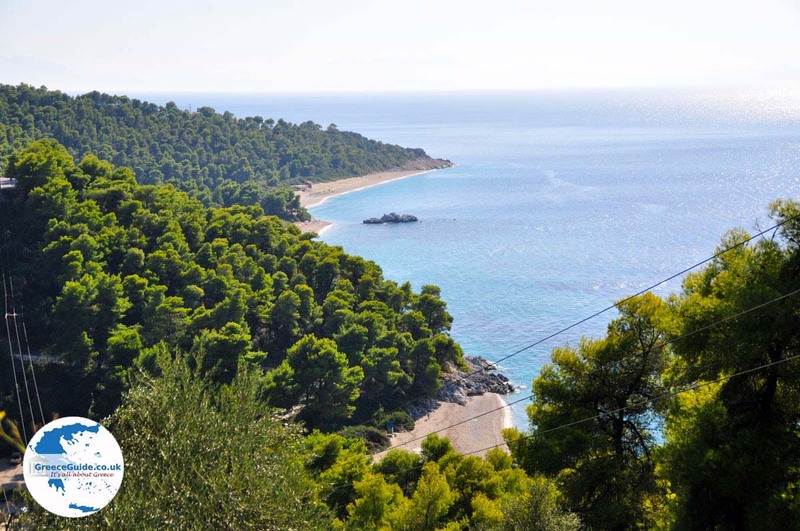 It is possible to access it by boat from Panormos. 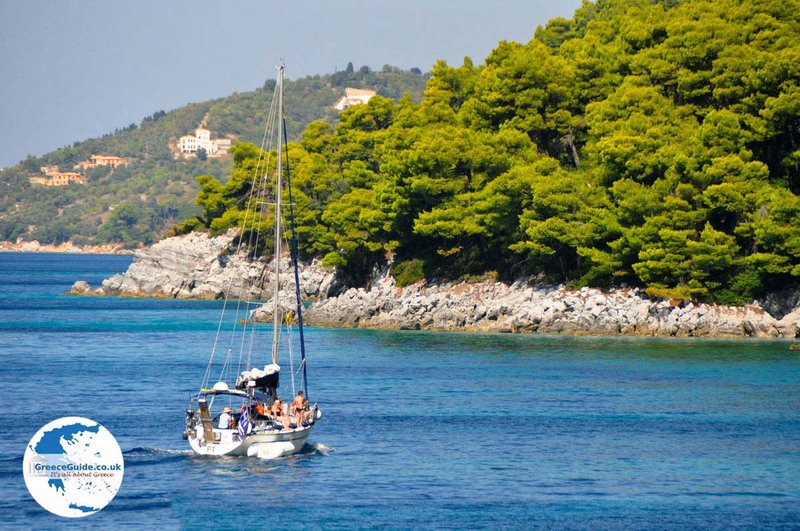 Skopelos: Where on the map is Kastani located?